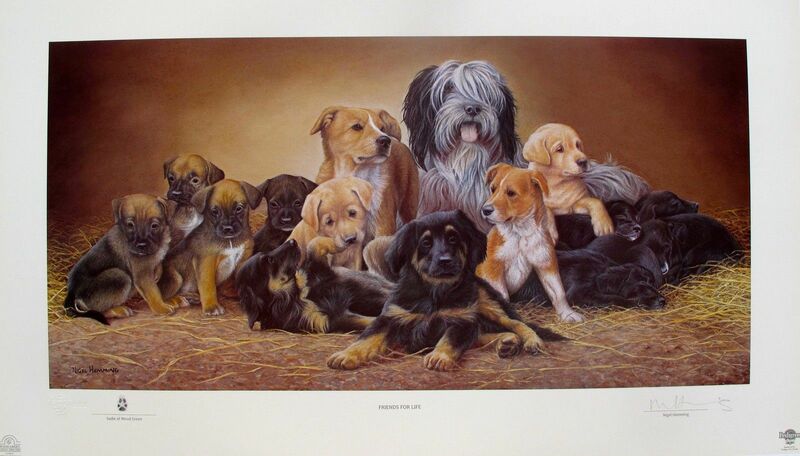 This is a limited edition hand signed lithograph by Nigel Hemming titled “Friends for Life“. 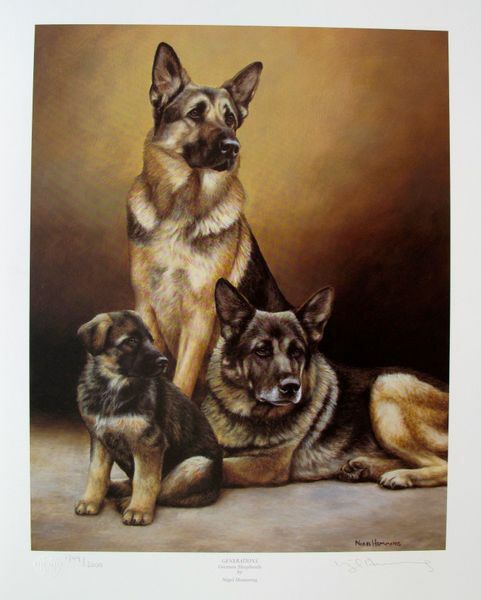 This is a limited edition hand signed lithograph by Nigel Hemming titled “GENERATION GERMAN SHEPHERDS”. 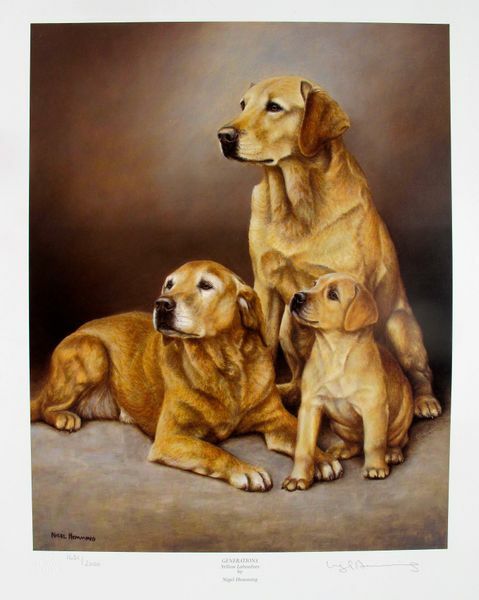 This is a limited edition hand signed lithograph by Nigel Hemming titled “GENERATION YELLOW LABRADORS”.